Rek-O-Kut enjoys a long and storied history in the evolution of turntables for studio, broadcast, and home use. Esoteric Sound are the owners and curators of the Rek-O-Kut brand since 2004 and have continued the tradition of serving varied industries, archivists, and hobbyists. Eight years ago this month, it was on these Dagogo pages where Philip Holmes first explored the modern Rek-O-Kut Rondine 3 and how it served as a universal turntable for all types of vinyl software. The Rek-O-Kut Trovatore is the latest example of this approach to universality from Esoteric Sound. The completely redesigned Rek-O-Kut Trovatore is a skeletal, belt-driven turntable that sports use of the latest in platter design materials, improved platter bearing, and the capability of playing transcription discs of up to 20″ in diameter. It has a bespoke Rek-O-Kut 12″ tonearm of current design that is manufactured by one of the largest purveyors of OEM tonearms, Jelco, and an electronic speed controller that offers 6 speeds to pretty much cover the gamut of transcription and archivists needs. The Trovatore has an MSRP of $2,299 and it is the subject of this review. This is a world I was wholly unfamiliar with and it required a bit of research. In order to fit the needs of the transcription community, a turntable needs to have broad capabilities for accepting disc sizes up to 20 inches in diameter and the ability to run at speeds of 331⁄3, 45, 78, 80, and 90 RPM. Of course, those of us of a certain age know that record players also used to have a 16 RPM speed, which is not considered. My guess is that the demand for playback of the scarce, very low fidelity 7” 162⁄3 RPM (half the speed of 331⁄3) discs, even in this relatively esoteric community of specific record enthusiasts, is small or non-existent. There is little doubt that Rek-O-Kut has responded to the needs of this highly specialized community by offering a versatile “open” player design such as the Trovatore, along with an extensive set of accessories to broaden the capabilities of an already very capable transcription record player. 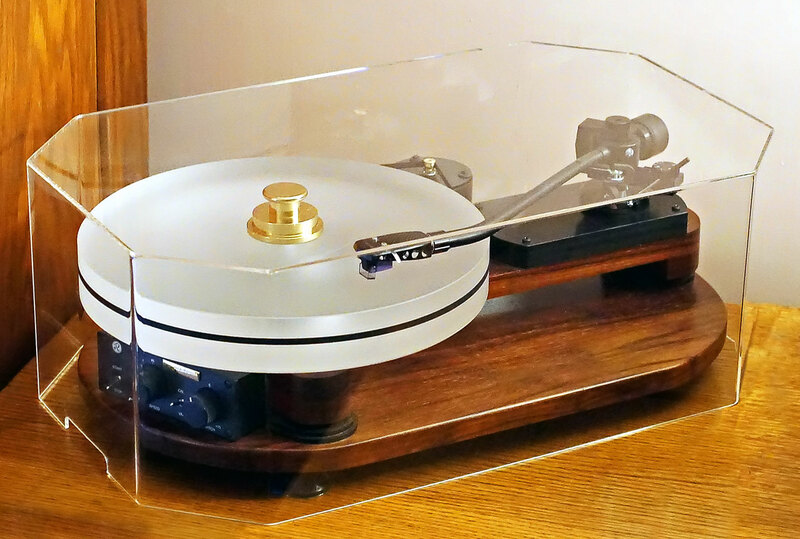 These accessories include a re-equalizer for corrective equalization of recordings prior to 1955, a phono preamp with equalization specifically for playback of 78 RPM discs and London FFRR, and an extensive line-up of tonearms that extend to lengths capable of playing up to 16” discs. Though I was able to confirm the speed controller’s accuracy by using a specialized strobe disc, I did not have any discs on hand to test the re-equalization or oversized-disc capabilities offered by this table. The Rek-O-Kut Trovatore distinguishes itself from its predecessor mainly by its open design and ability to be set-up and, yes, upgraded or transformed to suit more advanced Audiophile sensibilities while still maintaining its original raison d’être as a Transcription Player. 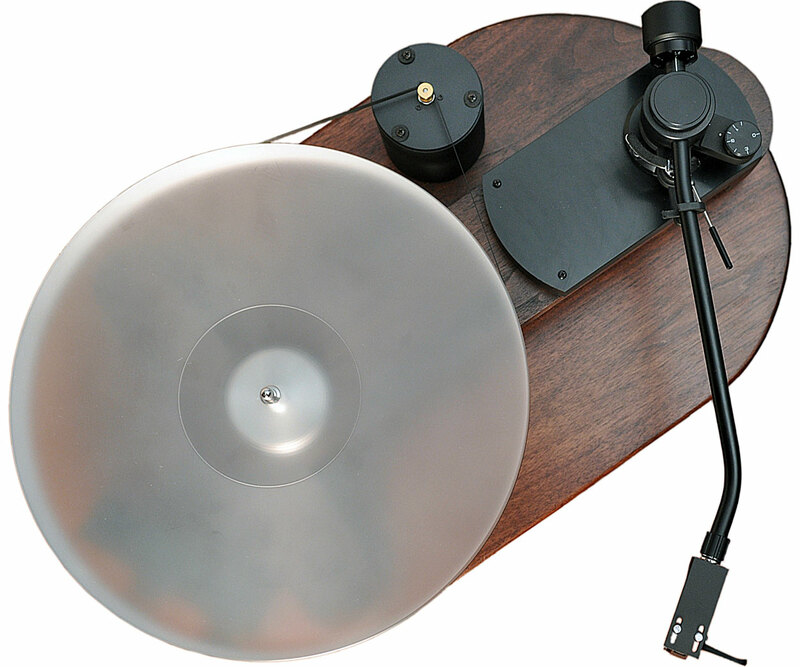 The basics are already in place, such as a high quality machined steel platter bearing with detached spindle, a high mass 8-pound platter machined from polycarbonate, belt-driven with a digital speed controller, and a separate armboard assembly that supports a wide variety of separate tonearms with lengths exceeding that of 13” and all levels of quality cabling and headshells for these tonearms. Indeed, it is a very extensive Rek-O-Kut branded lineup of many things Jelco. This is by no means a bad thing as their tonearms are generally quite good, and in fact, Jelco has been utilized in the past as an OEM provider by such companies as Ortofon, Grado, Koetsu, Audioquest, and Graham just to name a few. The open “T” shaped turntable of the Trovatore plinth, made of very attractive African Rosewood sits on three wooden pillars and Vibrapods and these rest on an oval African Rosewood plank. The Trovatore fare quite well as an integrated turntable-tonearm combination. Set-up was dead simple as the turntable is pre-assembled with the exception of dropping in the tonearm and platter. I decided the cartridge I was going to use for extended listening tests is my tried and true vintage Panasonic low impedance moving iron 205CIIL. I mounted it in the optional Rek-O-Kut Rosewood headshell, a nicely designed unit sporting a constrained layer assembly of Delrin, Rosewood, and brass. I first listened to the Trovatore using the $79, Rek-O-Kut MkIV phono preamp and Radio Shack-level patch cords to connect the unit to my main system consisting of the Pass Labs XP-20 two-chassis line stage, Melody Valve Audio AN-845 valve Monoblock, and the Eficion F300 Air Motion Transformer speakers. Cabling throughout was MIT Cables and Enklein. 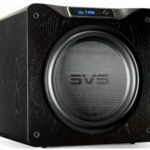 In this configuration, the sound proved to be overly bottom-heavy, with limited rendition of soundstage depth, a fairly detailed midrange, and a rolled-off top end. None of these traits are typical to the Panasonic cartridge, so I decided to set aside the Rek-O-Kut phono preamp. 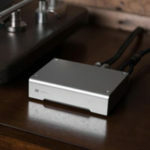 I disconnected it and connected the tonearm to my reference, the Zesto Audio Andros 1.2 phono stage for the remainder of the listening sessions. This proved to be much more interesting. Being that the turntable is an open skeletal design, I was able to explore ways of optimizing the performance of the various components of the turntable system. Surprisingly, the platter/bearing system proved to be very neutral in sound; so too the tonearm. What this means is that I played quite a few vocal records from Rickie Lee Jones to Janis Ian, Pete Townsend, Neil Young, and Katie Melua, and the turntable offered quite consistent results. The system definitely allowed the overall character of the excellent Panasonic cartridge to shine through, with the exception of high frequency clarity. I then decided to swap the standard tonearm cable with the superb Ortofon 6NX-TSW-1010 tonearm cable I had on hand. This yielded further improvements in detail and clarity. It is evident that the tonearm proved more than adequate for the job as the cartridge performed well in terms of tracking ability and sonics. I next wanted to see if I could clean up the bass region, which I suspected was suffering from energy incursion through the wooden feet of the structure. While the Vibrapods are meant to offer some level of isolation, they clearly seemed out of their element in this application. I first began by placing delrin pieces between the Rosewood plank and the turntable legs. This proved to go far in clearing up some smearing that was happening in the midrange and also managed to tighten the bass a bit. I decided to complete my listening sessions with this configuration. Overall, with just a bit of additional isolation and a better tonearm cable, the Trovatore proved to be a very respectable-sounding turntable. The sound had a largely neutral character with just a hint of darkness. The bass continued to be somewhat overly rich but offered good detail and was perfect for rock recordings. The Rek-O-Kut tonearm did a fine job of allowing the cartridge to track well and perform at its best. So where does this leave us? Well, the Rek-O-Kut Trovatore is most definitely a niche offering. For readers that require the transcription capabilities it and its associated equipment and accessories offer, the Trovatore likely stands alone in overall approach, feature set, and sound quality. 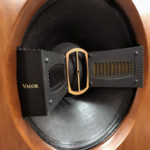 For those that have these needs but also are very interested in the audiophile aspects vinyl reproduction, the Rek-O-Kut has to my ears proved to be a very good platform for use with a top-flight phono cartridge and audiophile quality phono stage to obtain excellent audiophile-level results. 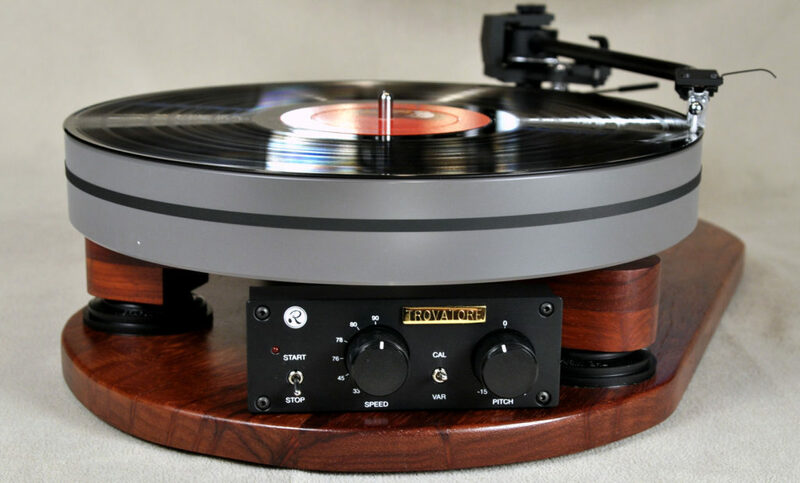 Taking into account that the complete turntable system (without cartridge) has an MSRP of but $2,299 makes this an irresistible offering and earns a solid recommendation for those of you that absolutely require the capabilities it has to offer. I should comment on two areas of the draft review that may lead readers to make false assumptions. The Trovatore sample was made of African Rosewood, but that is an extra cost option. The standard version is solid walnut. 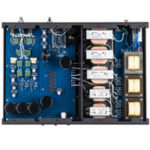 Also the preamp that was supplied is a sample in itself, it is not a supplied part of the Trovatore product. It is our extra cost MkIV preamp that many blogs tout as a high quality bargain at $79.95. Sorry Ray heard otherwise. Commenting on the sonic perceptions of others, using different electronics and speakers than I use, and in a different environment is difficult. Listening tests are quite time consuming and takes a lot of effort. Two people standing next to each other can have different perceptions. I tend to focus on lab measurements. However, there are qualities one cannot readily measure. Example: TIM. I can say this about the bass. My perceptions have been that the Trovatore produces the deep bass with the impact I have heard in concert halls. Two customers have, over the years, suggested that the Rondine III and the later Trovatore produced too much bass. Both of them played 78 which are not as perfectly flat as modern records. They produced earthquakes from their wide bandwidth systems. The fix was a mechanical low-cut filter. We sent them a rubber mat and they were made happy. Over the last few years, I have plotted the response of several high quality phono cartridges mounted on a Technics SP15 with SME 3012 arm, and more recently with a Trovatore, using a CBS pink noise test record. The results did not change much. The one that impressed me was the Nagaoka MP500 cartridge. It was flat between 50 to 15 kHz within about +/- 0.75 dB on both turntables. That is remarkable for a mechanical device. I could not keep my Crown tape decks that flat at 15 IPS. We try to offer the biggest bang for the buck to customers. We learned lessons from the Rondine III. The reduction of speeds from 12 to 6 was for practicality of manufacture. Nobody, but nobody ever mentioned the half speeds of our previous Rondine III. That cut the cost of electronics and calibration. Some could use 16-2/3 for playing warped discs, but speed accuracy is not all that necessary when 99% of discs will be digitized. One can play at 33-1/3 with the pitch control at its slowest setting. Then correct the speed in post. We made a more robust turntable with emphasis on needed features, longevity and parts easily obtainable or substitutable even if we were gone. The signal to noise ratio was improved such that the listener will hear only the groove through the speakers, and never the motor. The pods under the platter/arm structure reduce the noise by 10 dB. Others might be used, but all cost substantially more. So, removing them does have other consequences. The ability to play 20” discs means not only that the Trovatore can play early 16″ radio and movie soundtrack discs, but also the metal parts used in the production of such in lieu of the actual disc. It also means that the longer arm will track conventional LP records with decent accuracy. So we mixed esoteric needs with longevity and better audio reproduction. Dimensions: 20.5" X 12" X 6"
* Stanton 500.V3 w/LP & 2.7 mil "78" stylus (2 - 7 gram tracking) - $105.00. * Vertical Play Head. Stanton 500.V3 with 78 stylus in vertical wired headshell. - $150.00. Hey Ray, I had a friend with a six-speed Rek-O-Kut. He had several arms, one looked like it was two feet long. He had a huge collection of odd speed records, some which were looked almost twice the size of an LP. Thanks for the article, it was a good read and brought out good memories.